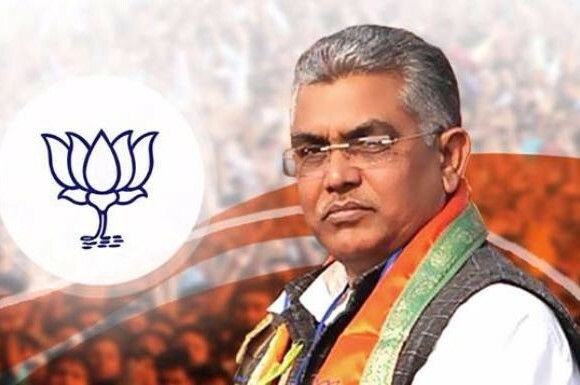 State BJP president Dilip Ghosh today alleged that Mamata Banerjee was trying to divide different hill communities by forming development boards and the state government had created impediments to the functioning of the GTA. Ghosh, who is touring north Bengal, told a news conference here this afternoon: "In a planned manner, the chief minister is trying to divide different communities living in the Darjeeling hills by creating different boards for them. The state has even decided to pick up an Assembly segment and turn it into a separate district in the hills. Such decisions would surely have social and political ramifications." The chief minister had already announced development boards for 10 hill communities and decided to make Kalimpong subdivision a new district. Ghosh's comment is in line with the Gorkha Janmukti Morcha which always says the development boards are being constituted to divide the hill population. "We know that the struggle of Gorkhas is on social issues and their identity. Further, the state has created impediments to the functioning of the autonomous authority (GTA), disrupting the development of the hills," Ghosh said. The BJP leader scoffed at the state government's decision to change the state's name.